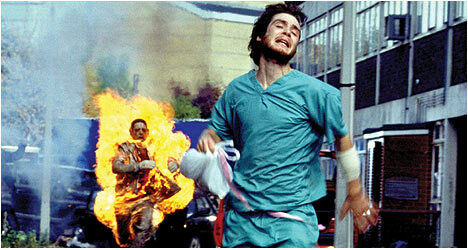 The Horror Honeys: Honey Buzz ~ Will '28 Days Later' Become a Trilogy? 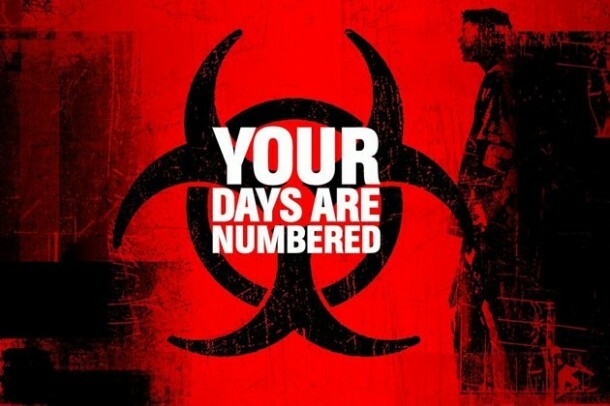 Honey Buzz ~ Will '28 Days Later' Become a Trilogy? The zombie film that started the heated (and sometimes downright rude) argument between genre fans over the "true" definition of a zombie - no seriously, people want to fight all the time about viral zombies vs Voodoo zombies and it's totally hilarious. Want to know the quickest way to piss off a zombie fan? Tell them that 28 Days Later is your favorite zombie film. The success of the first two films is a solid foundation for a trilogy, and apparently there has been the potential for some combination of director Danny Boyle, screenwriter Alex Garland and producer Andrew Macdonald to return to the story they originated in 28 Days Later. In an interview with IGN, Alex Garland (you might remember the Sci-Fi Honeys making noise about Garland's gorgeous sci-fi film Ex Machina) said that he and Boyle have started talking with Macdonald about the film, and that there’s an idea of some sort in place. We’ve just started talking about it seriously…We’ve got an idea. Danny [Boyle] and [producer] Andrew [Macdonald] and I have been having quite serious conversations about it so it is a possibility. It’s complicated. There’s a whole bunch of reasons why it’s complicated, which are boring so I won’t go into, but there’s a possibility. So, there's a nice rumor for the day. Maybe if we hashtag it enough, it'll happen. 28 Hours Later? 28 Years Later? 28 Months Later? 28 Days Before? The options aren't limitless, but they're all intriguing. Consider me interested.